Two women, virtual strangers, sit hand-in-hand across a narrow table, both intent on the same thing-achieving the perfect manicure. Encounters like this occur thousands of times across the United States in nail salons increasingly owned and operated by Asian immigrants. This study looks closely for the first time at these intimate encounters, focusing on New York City, where such nail salons have become ubiquitous. 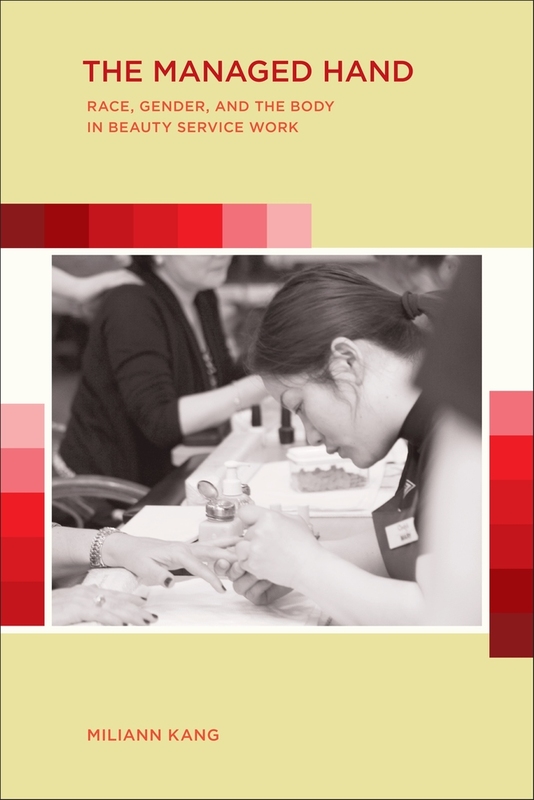 Drawing from rich and compelling interviews, Miliann Kang takes us inside the nail industry, asking such questions as: Why have nail salons become so popular? Why do so many Asian women, and Korean women in particular, provide these services? Kang discovers multiple motivations for the manicure-from the pampering of white middle class women to the artistic self-expression of working class African American women to the mass consumption of body-related services. Contrary to notions of beauty service establishments as spaces for building community among women, The Managed Hand finds that while tentative and fragile solidarities can emerge across the manicure table, they generally give way to even more powerful divisions of race, class, and immigration. Miliann Kang is Assistant Professor of Women's Studies at the University of Massachusetts, Amherst, and affiliated faculty in Sociology and Asian/Asian American Studies. Conclusion: What Is a Manicure Worth?